DESCRIPTION OPEN HOUSE April 14, Sunday1- 4PM. BRAND NEW BUILT BY TRUMAN HOMES WITH A WALKOUT BASEMENT BACKS ON TO AMAZING VIEWS BOASTING 2700+SQFT OF LIVING SPACE , EXECUTIVE HIGH END FINISHINGS SAME AS SHOW HOME! This new 4 bedroom designer home features WALKOUT basement is perfect for entertaining and family life. The MAIN level with hardwood floors and abundant of natural light reveals a GOURMET dual-toned kitchen boasting o/sized island, full height cabs and High end appliances and HUGE SECONDARY SPICE KITCHEN with an gas stove, sink and window & tons of cabinet and storage area. Main floor also features FULL BATH , huge family room dining area and flex room . The UPPER level boasts total 4 bdrms with 3 MASTER BEDROOMS, laundry and bonus room. This TRUMAN home features many upgrades including , metal spindles, drywalled and painted garage interior and r-i irrigation. 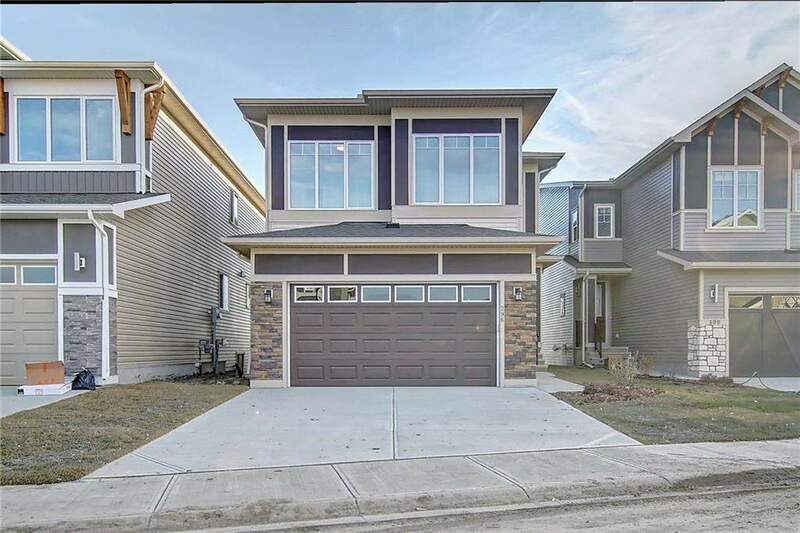 Quick Easy access to stoney trail and 2 Minutes to big shopping center. NO NEED TO WAIT THIS IS READY TO MOVE IN BRAND NEW QUICK POSSESSION.